Can you afford to give one hour of your time to help a friend or colleague? We believe that almost every member of the practising Bar can afford to donate at least a sum equivalent to one hour of their charging rate without feeling a real difference. One hour is all we ask but please give more if you can afford it. You can donate clicking the JustGiving button opposite or alternatively by phone using your credit or debit card or send us a cheque our contact details can be found here. Please help our campaign by downloading our poster and putting it up in your office. You can download our poster by clicking here. In 2017 we received an increasing number of applications from younger members of the Bar some of whom are suffering long term illness and disabling conditions and find that their needs are not met by other benefits. Without help from the BBA they would struggle to manage their essential basic living costs. For case studies refer to our Annual Reviews which can be viewed by clicking here. The pattern of the party has changed – but only modestly - over the years. Originally, tickets were bought solely by individuals. Since the early "noughties", however, more and more firms and chambers have recognised the opportunity for their own entertaining and "corporate supporters" (who are permitted to set up their own tables at the edge of the lawn) are now actively encouraged. The BBA relies on donations and support from barristers. By taking part in the British 10k London Run you could help make a difference. The run is through the heart of central London on roads closed to traffic and passing many of the capital’s truly world class landmarks. Run by Trafalgar Square, the Embankment, Big Ben and more on our hop-on-keep-hopping run tour. Flat and iconic, the classic course is ready for your best time and your best selfie. This headline running event will include a British Street Party – with a twist! 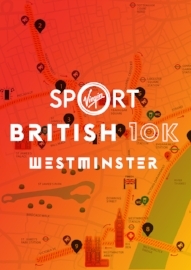 In addition to a flat, fast 10k through London's famed sites, there will be music at every kilometer – you'll be pounding your feet to the beat. To show your support for the BBA please register directly with virginsport by clicking the link opposite or alternatively, if can't make the race you could always take part in our DonateAnHour programe.